I had the pleasure of launching a business in Japan in 1999. * It was one of the early entrants in the business of search engine syndication, an industry that used to be dominated by Altavista, Inktomi, Fast Search and Transfer, and is now dominated by Google and Bing after many iterations in the business model. It was one of the most educational phases of my career. The Japanese partnerships I built showed me that much of what I'd been taught in university about Japanese business was wrong. Japanese companies were not averse to partnering with foreign firms. Japanese customers did not necessarily favor Japanese-made products over foreign products. These myths were touted by Kodak against Fuji Film in their WTO complaints against Japan in general and Fuji specifically. And when I was in university, I was spoon-fed some of these same myths by some representatives in the American congress who favored market-protectionism over enhanced global trade opportunities. What I learned in college that proved very true was that Japanese business hinges on relationships even over profit. Surely this is primarily what Kodak had difficulty with. It's very difficult to sell in Japan if you don't invest a significant amount in the relationships that are essential to the fabric of society there. Fuji Film had invested tremendous amounts in social relationship and brand. It wasn't mere shelf space that determined Fuji's advantage in the market, it was market presence and people. 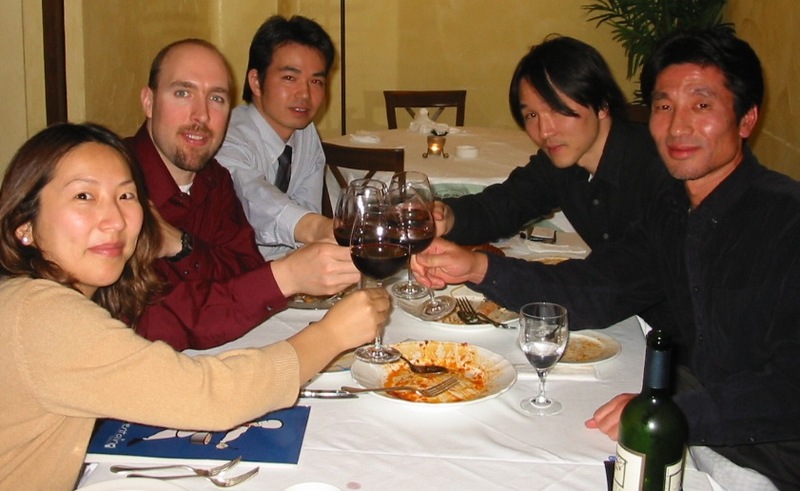 One of my favorite memories in Japan was after my first year after launch of our search engine. (The first year was tremendous fun as we slowly accumulated partnership after partnership by investing enormous amounts of time and resources building an exceptional Japanese product. But for the point of this story, I'll defer that for a different blog post.) By 2001 We had a large number of leading Japanese portals powered by our search products, even with a new entrance by Google. The time for this story was the beginning of our second year in market, time for our contractual renewals. (Contracts auto-renewed by mutual consent.) I was visiting each partner to gather their feedback on how we could make our services better and ask each if they would like to continue working with us. One of them informed me that they'd received a bid of 1$Million guaranteed payment to switch from our search engine to another. I told them that I was unable to match the offer, as our business model was based on indexing services, not guaranteed payments. I thanked them for being such a good partner over the first year of our business there. I prepared to wrap up the meeting because I believed my not offering to match the bid would leave us at an awkward impasse. My counterpart smiled at me and said, (translated) "We're not going to accept it! After all, they never pick up the phone when we call them. You do. And you come to visit us and listen to our feedback. That's more valuable to us." I was completely stunned, flattered and honored that my partner considered my service to be worth more than a $1 Million buyout check. We renewed and they remained our partner until I left the company. I've tried to dispel myths about Japanese culture when I've heard them and tried to encourage businesses to seek partnerships and distributions in Japan in spite of the difficulties Americans tend to anticipate there. And I highly encourage anyone who is interested in learning about Japanese business and trade opportunities to explore the resources at the Japan External Trade Organization. http://www.jetro.go.jp/ Japan is of course one of the largest trading partners with the United States. But it is also one of the most enjoyable places I've ever done business. *The company I launched in Japan was a branch of the global BTLookSmart brand. BTLookSmart was a joint venture between British Telecom and Looksmart Ltd. to distribute web directories and web search on a model similar to Yahoo! 's destination portal model, making it affordable to have site search that was not powered by one of the global algorithmic search providers. BTLookSmart Japan Kabushiki Gaisha achieved 70% market reach before it was acquired by ValueCommerce Japan, which was 50% owned by Yahoo! Japan. The Looksmart Japan tools our team built were integrated into Yahoo! Japan's "MatchSmart" content advertising engine. Subsequently Yahoo! Japan acquired all assets of ValueCommerce Japan. After my departure from BTLookSmart Japan, I joined Overture Services, which was acquired by Yahoo! Inc. I conducted business development across Yahoo! Asia and returned to Japan to work on mobile advertising with Overture Japan prior to the sale of Overture Japan to Yahoo! Japan. Never a dull moment in internet business.